When the rain begins to fall on the golf course, the Galvin Green Ladies Angie Waterproof Trousers are guaranteed to keep you dry thanks to the incredible GORE-TEX Paclite technology. With a zip at the bottom of the leg, you can quickly and easily protect yourself from the rain as soon as you feel the first droplet. 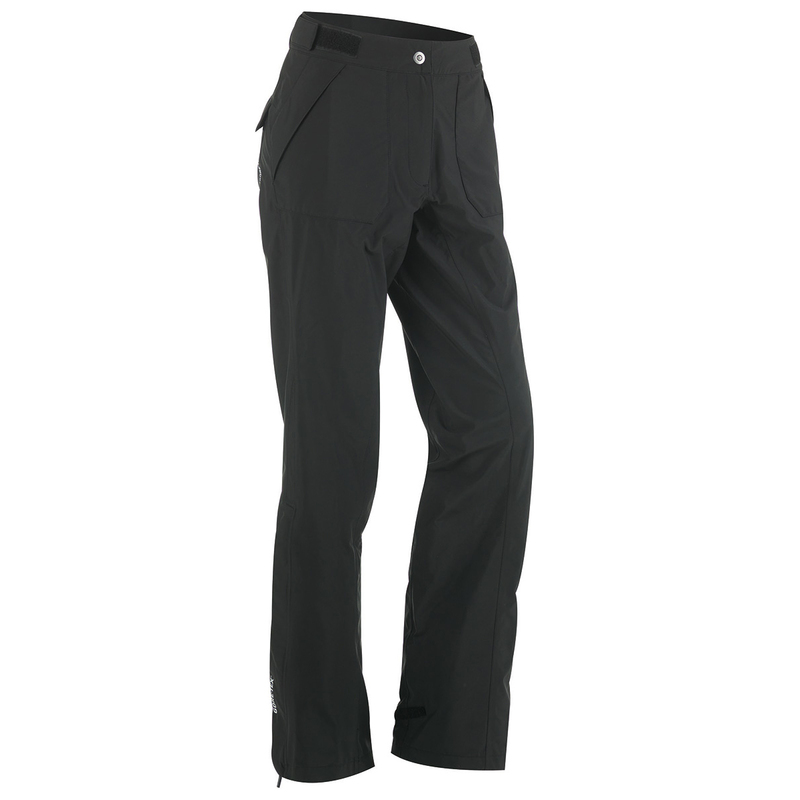 Constructed with GORE-TEX Paclite technology, the Galvin Green Ladies Angie Waterproof Trousers offer durable waterproof protection and are ultra light and ultra packable to help save space and weight. To help regulate body temperature and keep you cool, the material provides maximum breathability to enable the release of excess heat and moisture. 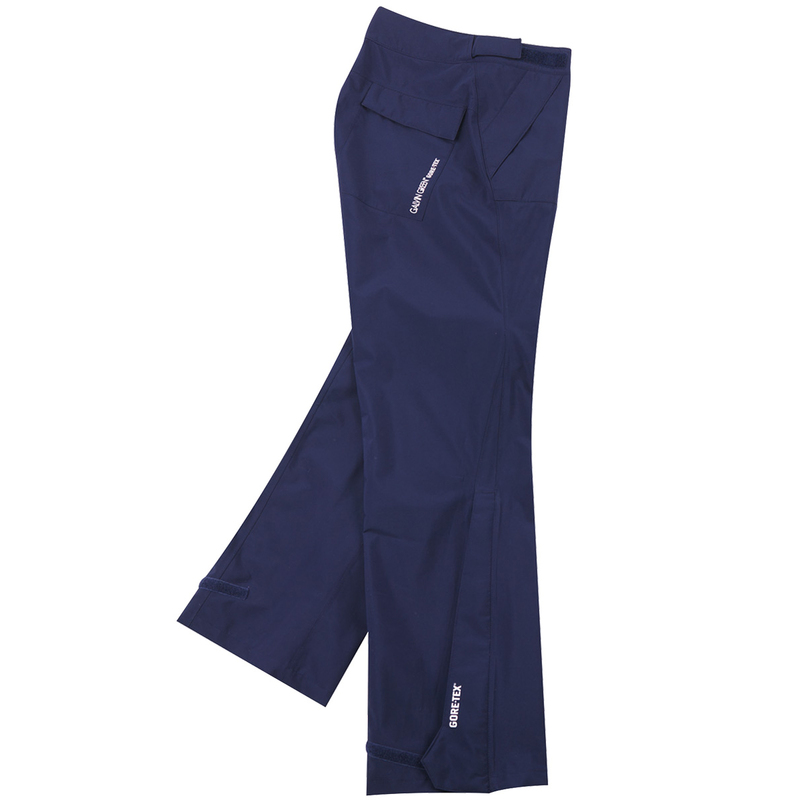 Specially developed for golfers to provide a perfect fit, these brilliant trousers provide maximum freedom of movement when walking and playing. The GORE-TEX® membrane contains over 1.4 billion microscopic pores per square cm. These pores are 20,000 times smaller than a water droplet, but 700 times larger than a water vapour molecule, which makes the GORE-TEX® membrane completely water­proof from the outside, while allowing perspiration to escape from the inside. Shell Layer garments are solely created to offer you maximum protection against the elements. While doing this they also allow for moisture and excess heat inside to be released.